Singapore Airlines Cabin Crew – Hello, friends welcome to Aviation Dreamer. It’s a good news for all the boys and girls who are staying in Malaysia. And want to become a Cabin Crew. Yes, friends today’s topic is Singapore Airlines Cabin Crew Recruitment. The airlines arrange a walk-in interview at Kulala Lumpur. 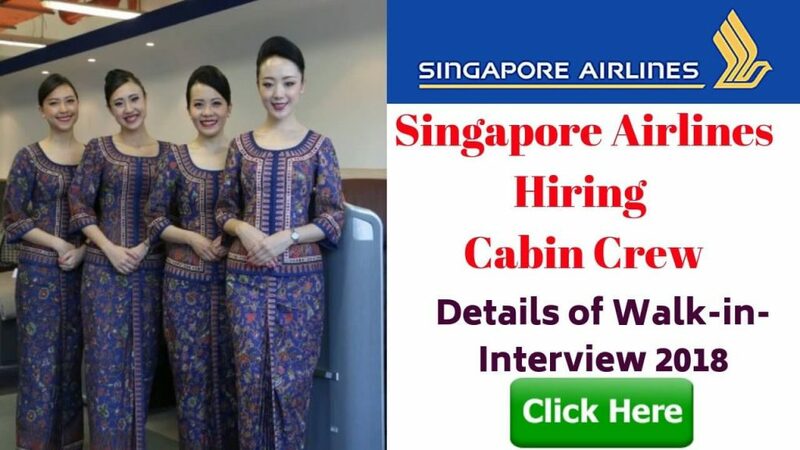 So, if you are interested to become a Singapore airlines cabin crew, read this till the end. You must have Malaysia or Singapore citizen. Minimum age requirement of 18 years old. Minimum height requirement of at least 158 cm for females and 165 cm for males in order to carry out safety and emergency procedure during a flight. Educationd requirement is Degree / Diploma. Applicant has at least 2 principal level passes and 2 subsidiary passes in STPM / GCE ‘A’ level or its equivalent. Also if has at least 5 credits in SPM / GCE ‘O’ level and relevant working experience. For Malaysian candidate qualification at the SPM level, at least 5 credits, including minimum grade B in English, and the need to have a working experience, the candidate should be able to start employment with us within six months from the date of application. Once successful completion of training, airlines will be scheduled flying duties. During the training, you will be paid a basic salary. At graduation level, you look forward to a basic salary and SGD $ 4,500 – 5000 per month for various allowances. In addition, the annual salary of one month’s basic pay and the profit-sharing bonus is supplementary. You will be entitled to free travel for any SIA destination once a year and enjoy a second discounted journey. Registration will be open from 9 a.m. to 3:00 p.m. Therefore, interested applicants are requested to download and complete this application form. Everyone has been requested, please bring the following documents for registration on the interview. Note – Due to space constraints, there will be no waiting area for those who are not attending the interviews. Candidates are advised to refrain from bringing companions to the interview venue.